Impressive new buildings are in the final stages of completion at Andersons Creek and Warrandyte primary schools. The two local schools received funding for the new buildings under the federal government’s Building the Education Revolution Stimulus plan. Andersons Creek’s $2.5 million community performing arts centre is due for completion in early 2011, and Warrandyte’s multipurpose facility will be completed by the end of this year. The school principals have pointed out that the community is welcome to hire both facilities, which cater for various needs and a range of activities. 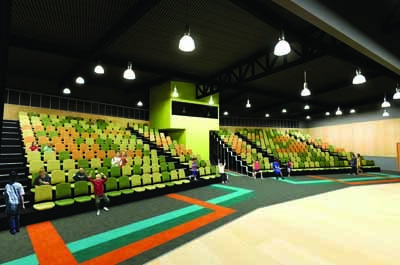 The performing arts centre at Andersons Creek will seat 480 people and contain retractable seating, change rooms, a preparation room, kitchen facilities and disabled toilets. It also has such energy saving facilities as water tanks, timers on light switches and low energy lighting to reduce the school’s carbon footprint. Andersons Creek principal, Trevor Gibbs, said the new centre will extend opportunities for students and the community. “Previously we had to take students and parents out of the community to perform. With the new building we don’t have to worry about hiring out another facility–it’s right here on-site,” Mr Gibbs said. 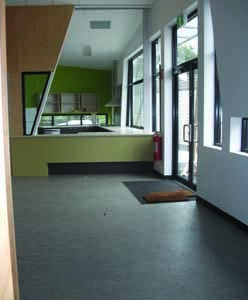 The centre will also serve as a fire refuge for the school community and will be open to local community groups to use. Similarly, Warrandyte’s multipurpose hall will be used for–but not limited to–physical education lessons, gymnastics, and whole-school assemblies. The multipurpose building contains a classroom, water tanks and also kitchen and toilet facilities. Ms Binger said the facility is as energy efficient as possible and the school is awaiting confirmation as to whether the facility can be used as a fire-safe area. The multipurpose building can be leased to not-for-profit organisations at minimal cost. “It’s a great resource for the school,” she said. Anybody interested in hiring Warrandyte Primary School’s multipurpose facility should contact the school on 9844 3537. Similarly, enquiries regarding hiring the community performing arts centre at Andersons Creek Primary should call 9844 2757.